Hey there! 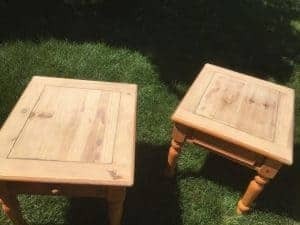 We’ve all seen these plain, boring, simple, wood pine end tables. There’s really nothing special about them.. at all. They wouldn’t even get a second look, until now. These came to me in pretty rough shape. They were beaten up, scratched up, dented and dinged. 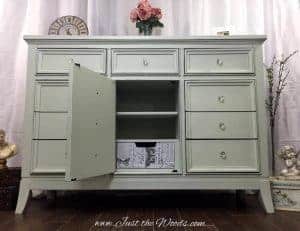 If you have seen this type of pine furniture or even have them lets jump into painting pine furniture and give them a new look. 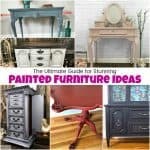 Not sure how to paint pine furniture? The first thing you need to do is to make sure to prep. In an attempt to save all or some of the wood grain on top I sanded them down. Even after sanding them they still had some imperfections due to the beaten they had taken in their previous life. I was committed to making them beautiful again. I tossed and turned on ideas for these little ladies, I originally planned to keep them relatively simple. But we all know how plans change. I planned to line the inside of the drawers until I realized that the drawers were the only thing in perfect clean condition. You know the saying “if it ain’t broke, don’t fix it”. 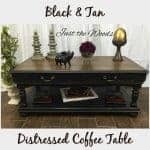 How about painting pine furniture in a shabby distressed black? I remember that I had this very pretty print with birds that I’ve been waiting to use. Sometimes it takes a while for the perfect piece to come along to pair with a product/accessory I have on hand, and sometimes it takes a while for the perfect accessory to pair with a certain piece. I’ve had these pretty birds for some time now and excited to finally get to use them. How cool is this print? 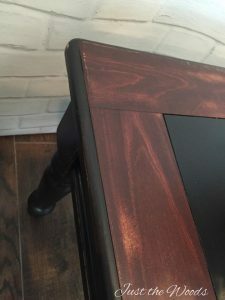 I love that it form fits around the raised edges of the drawer as well and has a bit of an aged appearance to it. 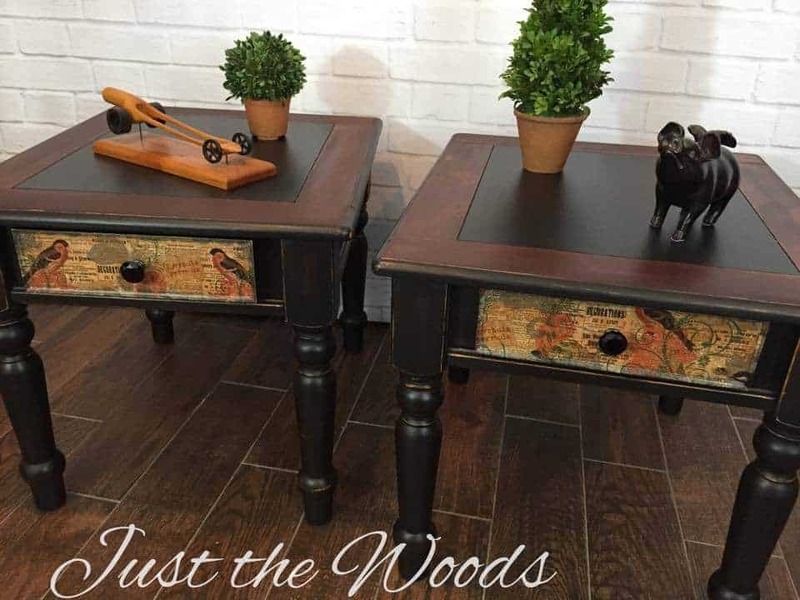 I decided to work with the dark colors in the print and paint these pine tables black, it just seemed to work with the tables. 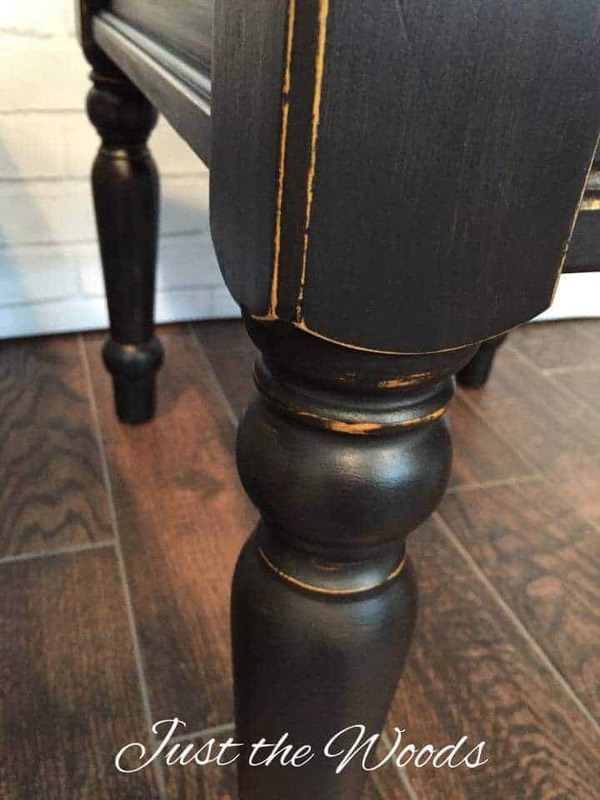 Painting pine furniture black looks amazing when you distress the edges to reveal bits of the light colored wood. 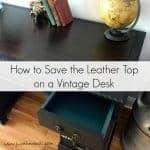 It creates the look of a shabby chic end table without the white paint. Remember I mentioned that I sanded the tops down to bare wood? 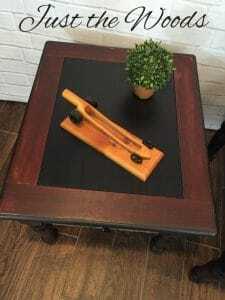 Well, I decided to use a cherry stain on the outer portion of the table tops, with the jet black center. The stain was even distressed a bit before the tables were sealed. 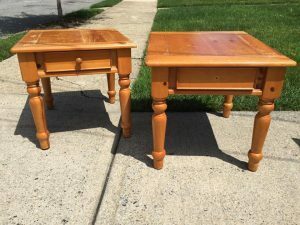 These are definitely not your grandma’s end tables anymore! (I say that jokingly – grandmas are great) If you like unique and shabby chic, but not a fan of white distressed, then these tables will be sure to wow your guests! 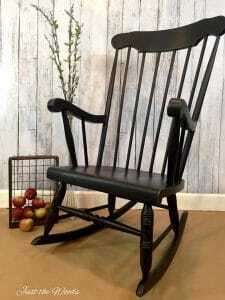 You can get a true black painted finish right here with DERBY. It is unbelievable what you were able to do with those end tables! They look gorgeous! Oh wow, I love what you did! The end tables look amazing. Wow I love the finished look! They really don’t seem like the same tables at all. I love how you refinished the drawers. I think that really makes all the difference in these pieces! Beautiful! These end tables turned out amazing!! 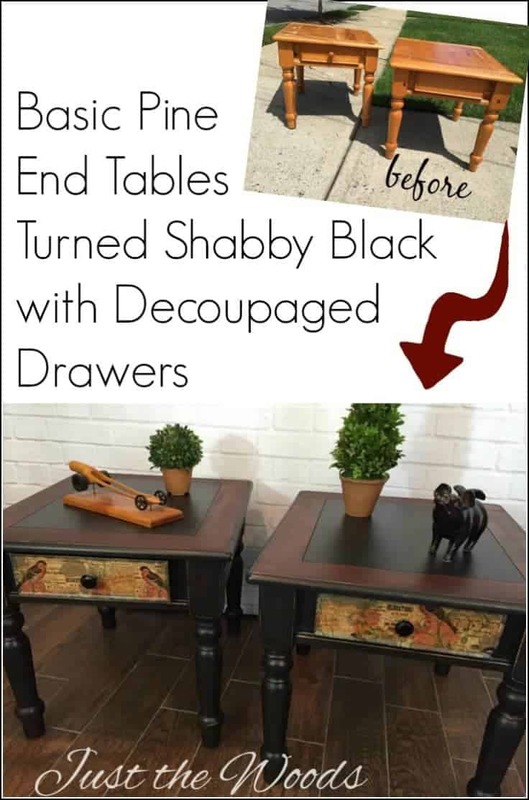 I love up cycling furniture its a great way to dress up a room! The transformation is impressive. The tables now has a vintage look and is really well done. Wow!! 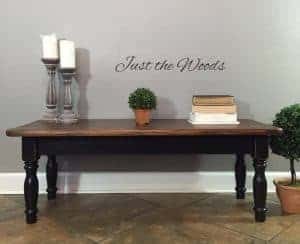 I LOVE how you painted that end table! It looks amazing! You are very talented! Wow, this looks stunning! I need to give some of my furniture a makeover. It looks like its brand new. You so talented. These really did turn out amazing! I’ve always wanted to try it out. Beautiful job Kandice, love the paper choice. I’m looking for a true black for my next project and the chalk paints offered locally are more grey. Those turned out absolutely gorgeous. I love the dark color of the wood too, that’s my fave. Omg these tables came out beyond fabulous! So wish I had talent like this. My house would look amazing. Those tables are just so fab that will definitely wow your guests! Amazing outcome, so classy. I Love what you done to the End Tables. I have the same tables and would like to redo them. 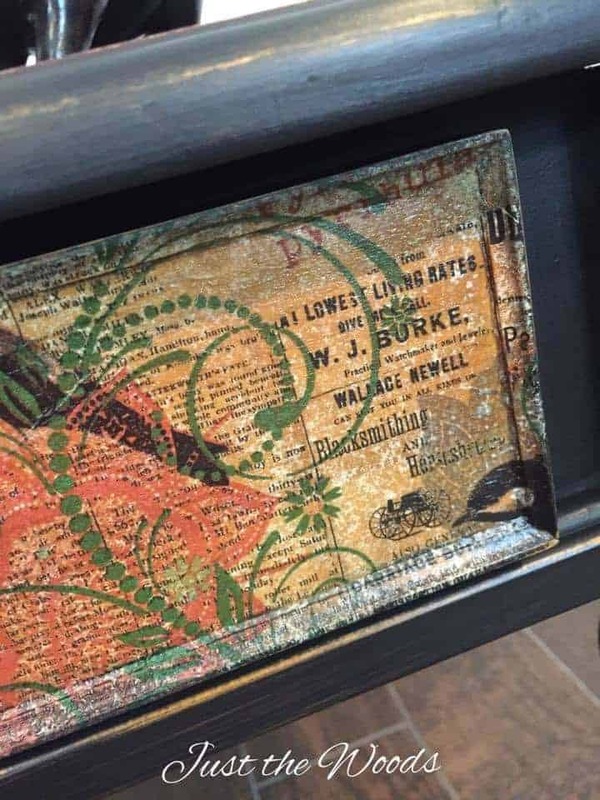 What kind of print did you use on the drawers? Your technique for incorporating beautiful paper (or is it fabric) on drawers takes an item from great to amazing. Just wonderful. 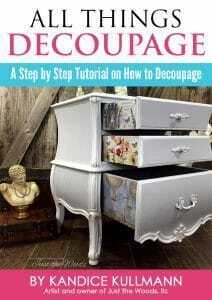 I am now getting into refinishing furniture and am so happy I came across your site.